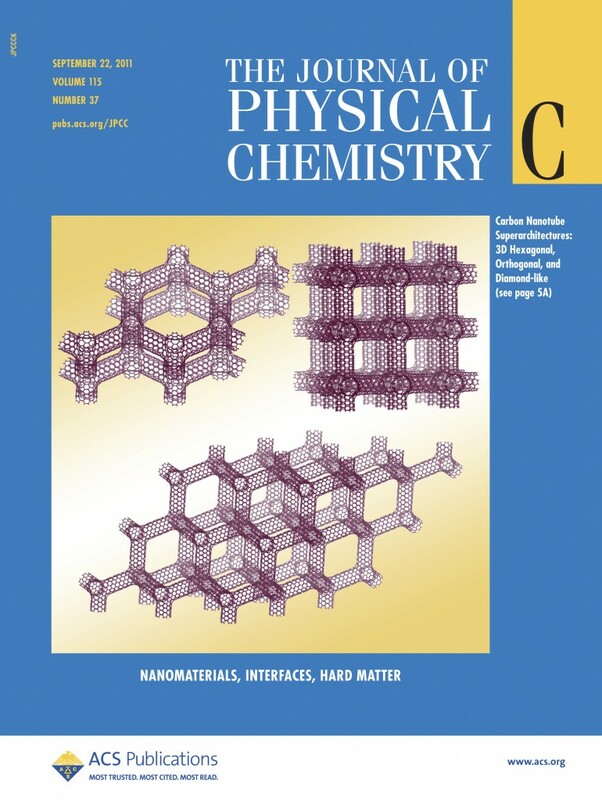 On the Cover: Carbon nanotube superarchitectures: 3D hexagonal, orthogonal, and diamond-like. Rulong Zhou, Rui Liu, Lei Li, Xiaojun Wu, and Xiao Cheng Zeng. 22 September 2011. Carbon Nanotube Superarchitectures: An Ab Initio Study. J. Phys. Chem. C, 2011, 115 (37). Xiao Cheng Zeng is Ameritas University Professor in the Department of Chemistry and professor in the Nebraska Center for Materials and Nanoscience. Rulong Zhou is a postdoctoral research associate, and Lei Li is a graduate student, both in the Department of Chemistry.